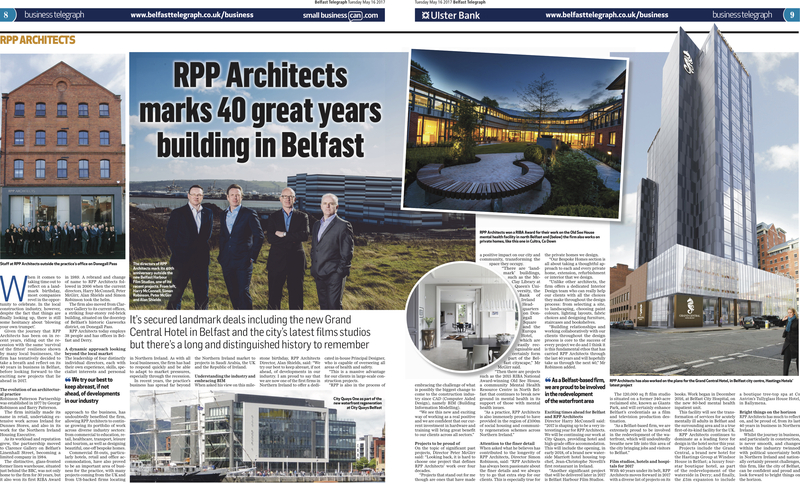 RPP Architects marks 40 great years building in Belfast as featured in the Belfast Telegraph Business. Continuing to celebrate our landmark birthday, the firm reflects back on the challenges and projects to be proud of over the last 40 years in practice, and also looks ahead to some of the new and exciting schemes planned for 2017 and beyond. You can read the full article here as appears in the Belfast Telegraph Business Section, Tuesday 16th May 2017.